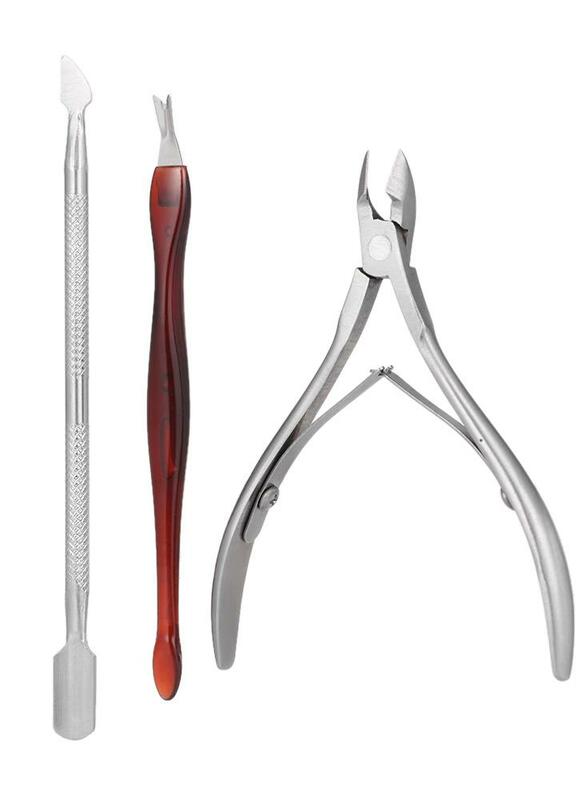 This high quality manicure & pedicure & facial treatment set, every single nail tool you want could be found in this kit. Small size and light weight make it convenient to carry, great for travel and daily life. Also, it is suitable for all ages and unisex. A perfect gift to your families and friends. Include a cuticle trimmer, a V-shaped push stick, a single-edged double-sided push stick. 3 different tools can meet your various demands include hand care, foot care. Help you cut and smoothen nail edge or surface. Anti-slip handle ensures a safe use, prevents hurt by hand slip. Made of thick stainless steel which is not easy to rust. Suitable for professional salon, clinic and home use.